A tchoukball injury was what set him on his current career path. 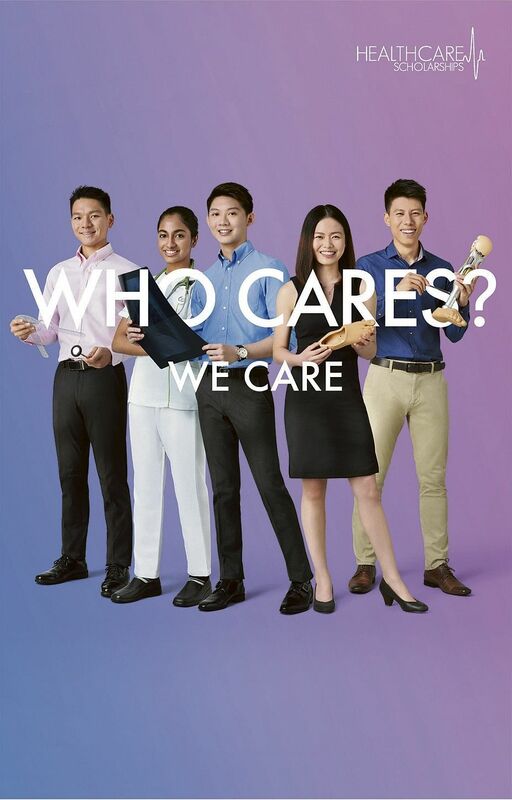 Podiatrist Arnold Hu (left), 25, had his first brush with how disorders of the foot, ankle and lower extremities are treated when he suffered a sports injury in 2012 while representing Singapore in the Asia Pacific Tchoukball Championships. He was intrigued by the complexity of the work during his treatment. He was drawn to learn more, and realised that a podiatrist’s job scope included such diverse elements as treating diabetic foot ulcers, performing nail surgery and paediatrics. His injury and treatment ultimately led him to study podiatry with a Healthcare Merit Award from MOH Holdings, and he currently helps others with their foot health. 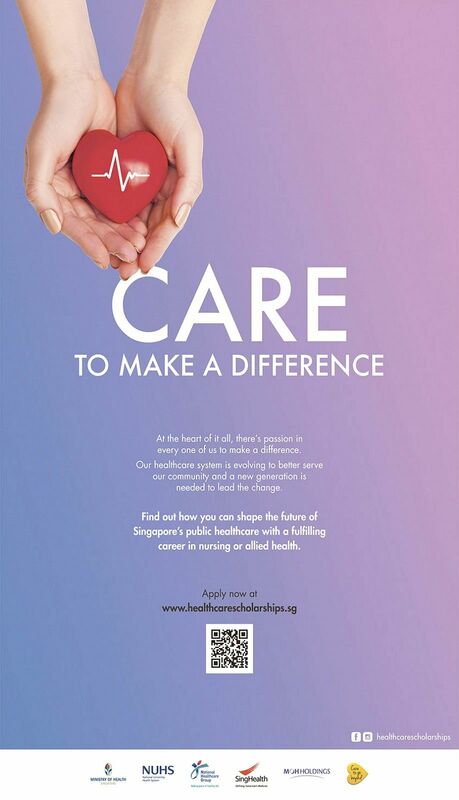 “If you are interested in joining the healthcare sector, this scholarship will nurture your passion. It will also help you to develop not just academically but holistically, to become a wellrounded healthcare professional in the future,” he says. He studied podiatry at the University of South Australia, with the scholarship covering his tuition and other compulsory fees, as well as a living stipend, return airfare and a clinical placement allowance. 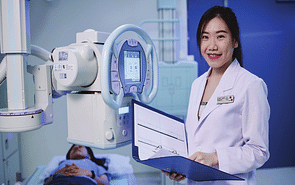 Mr Hu’s interest in healthcare also led him to serve as a vice-president of the Singapore Healthcare Society (Australia Chapter). In this role, he organised events such as sports activities and language classes for Singaporean students, giving them opportunities to network with others across Australia. As part of his scholarship programme, he also conducted mobile clinics to provide basic healthcare services such as health check-ups to villagers in rural Sri Lanka during a nine-day Overseas Community Involvement Project in January 2015. Together with doctors and other students from different healthcare disciplines, his team also taught basic hand and teeth hygiene to the children in these villages. As part of his course, Mr Hu participated in several clinical placements in the University of South Australia Podiatry Clinic, and in both rural and metropolitan hospitals around Adelaide. This provided him with the experience and hands-on skills required for the job. 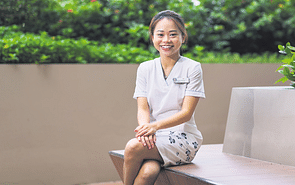 He began work as a podiatrist in the JurongHealth Campus of the National University Health Services Group after graduating in 2017 and currently treats patients at Jurong Community Hospital and Ng Teng Fong General Hospital.